Save time and money during the application process with today's electronic resources. Few contractors recognize the importance of prequalifying subcontractors before inviting their bids. Many fail to consider prequalification as a vital part of the construction process, yet the few hours this step requires upfront can prevent future project setbacks. Prequalification has proven to save a tremendous amount of time and money for the general contractor. Contractors for centrally administered general building projects often solicit only from prequalified vendors, making it critical that subcontractors are approved through a rigorous prequalification process. When project managers choose a vendor, prequalification ensures that projects only go to well-qualified vendors that can guarantee cost-effective results. Although the prequalification application process can be time-consuming, the benefits are well worth the time and effort invested. Contractors can streamline their application processes by customizing standard qualification forms to include their precise requirements, whether overall or project-specific. Many electronic applications provide prequalification communication that enables companies to display and organize qualification information for preferred view. This helps the general contractor keep all submissions organized, uniform and easy to access. On a customized, electronic prequalification request, the general contractor can designate “required” fields that the subcontractor will have to complete before submitting—eliminating unnecessary follow-up time on incomplete forms. Prequalifying electronically also saves time by eliminating the need for the general contractor to re-key a subcontractor’s submitted qualification information. This also removes the possibility of re-keying errors. Many of these online applications offer additional functionality to improve efficiency, like messaging and document sharing. For a general contractor, finding and maintaining key qualification information about subcontractors helps expedite bid assignments for invitation to bid (ITB) messaging. With online prequalification, combining qualification and ITB messaging in the same online application enables the general contractor to review subcontractors’ bid histories and determine if they are responsive to bid invitations. Filtering out unresponsive subcontractors greatly helps the general contractor avoid clutter for future project team selection. Prequalifying provides quality over quantity during the messaging process, minimizing the general contractor’s need to cast a wide net when sending ITB messages in hopes that enough qualified subcontractors will respond. 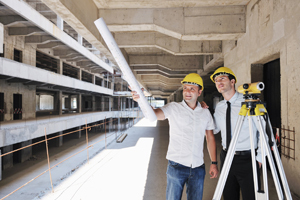 Additionally, prequalifying subcontractors and suppliers decreases the general contractor’s costs. Online qualification messaging is shown to significantly reduce the general contractor’s distribution time and cost for annual updates—no more mailing, emailing, faxing, posting on their websites or sending blank qualification forms to hundreds, sometimes thousands, of subcontractors once or twice a year. Furthermore, inviting subcontractors who are experienced and certified for a project’s specifications will lead to more complete and lower bids for the general contractor and reduce their risk on the jobsite. Receiving these lower, more complete bids from subcontractors will help the general contractor prepare a more competitive bid and win more work. In addition, the electronic process allows for more targeted ITBs. Subcontractors prefer targeted messages, because they can focus on more profitable projects rather than wasting their time weeding through offers. Prequalification is also preferable for subcontractors because they no longer have to complete a blank qualification form once or twice a year for several general contractors, which can lead to missed or incorrectly entered information. Many online applications enable the subcontractor to create and maintain one qualification form, with quick, easy and real-time updates for the general contractor’s specific requests. In addition to enhancing overall efficiency and two-way communication, subcontractors can trust the prequalification process to give general contractors the most accurate understanding of the quality of their work. This can greatly minimize risk. During the submission of prequalification applications, subcontractors and suppliers alike can submit “virtual resumes” in the form of project or equipment photographs and text. Ed Haege is the BB-Bid Product Manager for The Blue Book Building and Construction Network. As a former contractor, his construction bidding knowledge and experience was instrumental in the creation and development of BB-Bid, as well as many other Blue Book workflow solutions. For more information, visit www.thebluebook.com. Are You Hurting Your Operations Team?